Below please find the Bettertex Yardage chart. 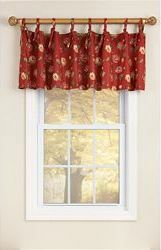 This page can be used to estimate the amount of yards required for any custom project that deals with fabric. 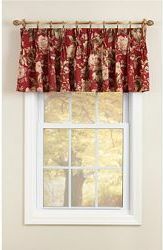 This includes Upholstery, Drapery, Pillows/Cushions, Roman Shades, and Bedding. To use click the (+) sign and the page information will slide down. 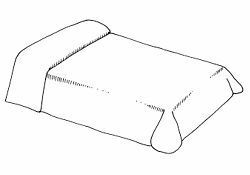 Slipcovers are fitted protective covers made of fabric that may be slipped on and off of upholstered furniture. Slipcovers can fit loosely or snuggly depending on your taste. Measure furniture outside arm to outside arm. 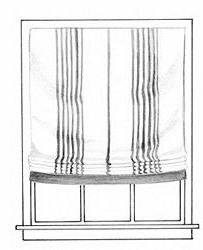 32 - 43" 48 - 55" 58 - 73" 74 - 96"
Measure the maximum seat cushion width from the outside front of the furniture. 34"
Measure the maximum seat cushion depth from the back of the seat cushion to the front of the seat. 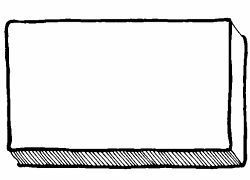 28"
Measure the maximum body width from the outside edge of the right arm, around the back of furniture to the outside edge of the left arm. 116"
Measure the contour length from the back of the seat cushion, going over the top of the furniture back and down to the floor. 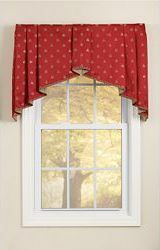 64"
Yardage amounts are based on solid, 54" wide upholstery fabric. Extra yardage may be required to match patterns. 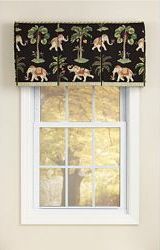 If you are using printed fabric add 25% to the yardage. We offer this information to accommodate our customers. We are not responsible for discrepancies in yardage. 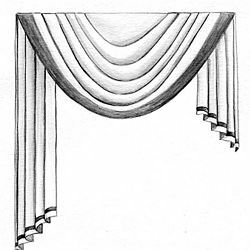 An important part of any decorative project is the drapery fabric you choose. 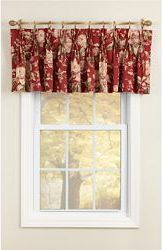 Beyond simply selecting the right print and coordinating colors, decorating with drapery fabrics also entails purchasing the correct yardage. Failure to do so can stunt a project before it gets off the ground. 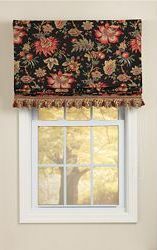 The following charts offer some estimates on how many yards you may need for specific window treatments. 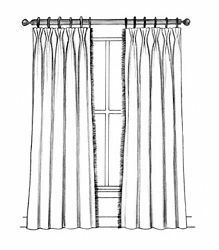 These charts are not intended to exhaustively treat every possible drapery project, but rather to give approximate yardages for some of the most common. 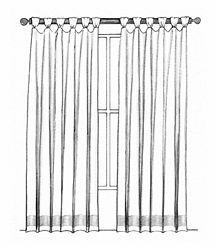 Furthermore, as these charts are guidelines and not definitive statements, they do not eliminate the need for you to make exact measurements before purchasing fabric. Some members of our staff have over 40 years experience in the retail fabric industry, so if these charts do not satisfactorily clarify your questions feel free to send us your inquiries to info@bettertex.com. 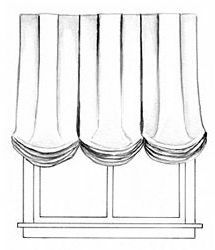 Balloon shades, like Roman shades, are composed of a fabric body that gathers up to the top of a window to create soft, billowing folds. Soft, lightweight fabrics should be chosen for balloon shades. 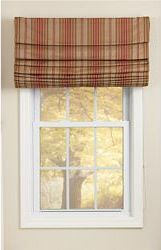 Balloon shades should also be lined with a light material, but not with interlining. Balloon shades are intended to be light and airy. 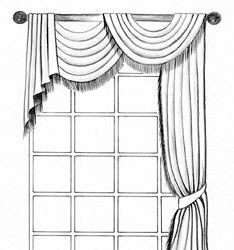 There are two types of Roman shades: classic and flat. 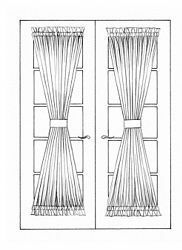 Classic Roman shades have overlapping folds when lowered, while flat Roman shades have no folds when lowered. 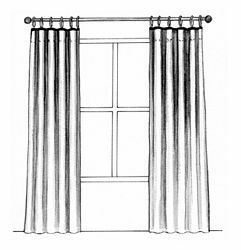 Roman shades should be made out of full bodied fabric. 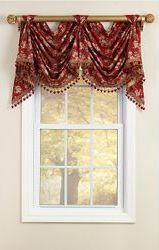 A swag is a one-piece valance which is cut longer on either end so that it frames the entire top half of the window. 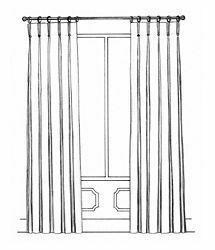 Swags are usually hung over rods. Swags should be done out of fabric that has body but is soft. Anything too crisp or stiff, such as chintz, is not a good choice. 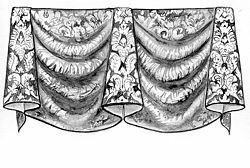 Cascades are folded pieces of fabric that fall from the top of the drapery heading to create a zigzag effect. 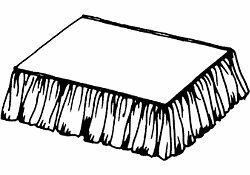 The following standard tablecloth and napkin sizes are intended to expedite your fabric projects by giving you the approximate dimensions of most tablecloths and napkins. 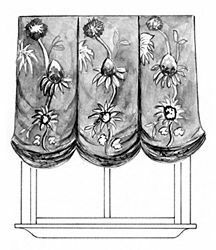 Actual sizes may vary, so this guide does not eliminate the need to take measurements of your tables before purchasing fabric. To avoid the pitfalls of purchasing too little or too much fabric, the following guide indicates the measurements you will need to take to get your window treatment project started off right. 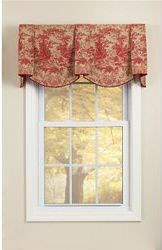 These measurements will allow you to determine more exactly how many yards of fabric are required for your window treatment project. 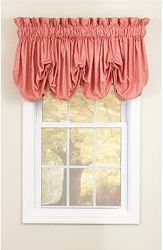 *The apron is the decorative molding beneath the window sill. 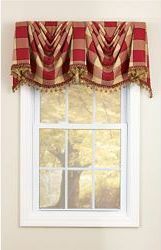 Are you at a loss as to what you can do with your windows? 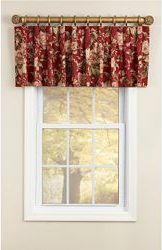 The seemingly endless window treatment possibilities can be overwhelming. However, it doesn't have to be that way. 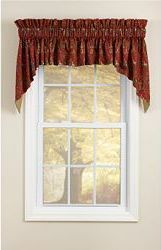 The following images are meant to give you some ideas that you can consider when trying to decide how to decorate your windows. 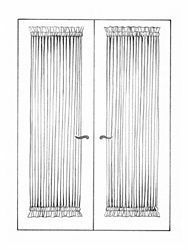 There are two types of Roman shades: classic and flat. 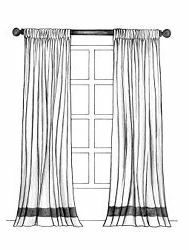 Classic Roman shades have overlapping folds when lowered, while flat Roman shades have no folds when lowered. 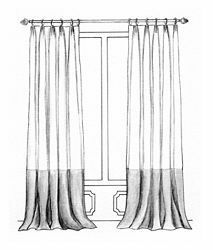 Roman shades should be made out of full bodied fabric. 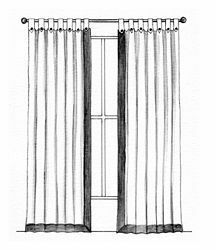 As you will be able to see with the following examples, there is some variety among the two types of Roman shades. 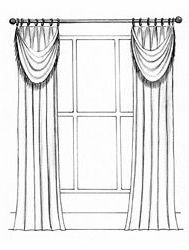 Valances are short draperies that hang along the top part of a window, with or without a curtain underneath. It can also be made of wood or metal that is painted or covered with fabric. 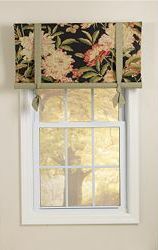 Valances are meant to cover the top of the window as well as the supporting hardware. 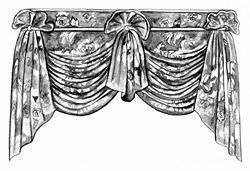 Valances are typically no longer than 20". 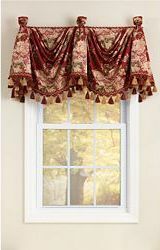 A swag is a one-piece valance which is cut longer on either end so that it frames the entire top half of the window. 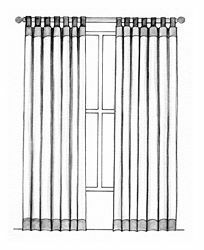 Swags are usually hung over rods. 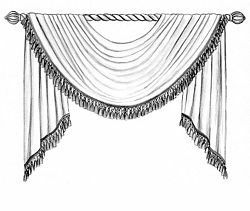 Swags should be done out of fabric that has body but is soft. 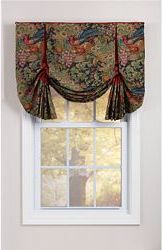 Anything too crisp or stiff, such as chintz, is not a good choice. 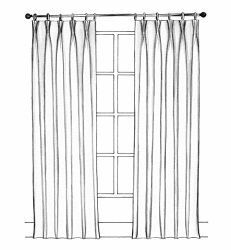 Fabric for bedding is often overlooked because of a lack of variety or because of the expense associated with department store prices. 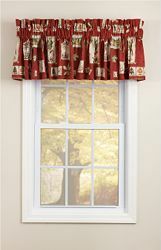 However, Bettertex carries an extensive selection of fabrics that are appropriate for bedding. These are designer fabrics at discount prices that are ideal for bedspreads, pillow covers, sheets, blankets, duvets, dust ruffles and so on. The following charts offer some estimates on how many yards you may need for specific bedding projects. These charts are not intended to exhaustively treat every possible bedding project, but rather to give approximate yardages for some of the most common. 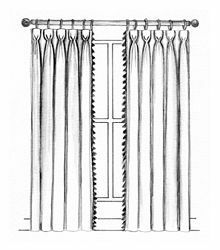 Furthermore, as these charts are guidelines and not definitive statements, they do not eliminate the need for you to make exact measurements before purchasing fabric. Some members of our staff have over 40 years experience in the fabric industry, so if these charts do not satisfactorily clarify your questions feel free to send us your inquiries to info@bettertex.com. Bedspreads cover the entire bed by folding over the bed pillows and hanging all the way to the floor on a standard bed. 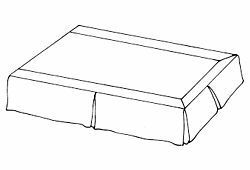 Standard beds have a drop of 21" from the top of the bed to the floor and 14" from the top of the box spring to the floor. 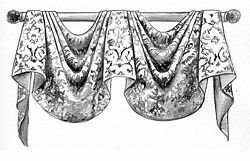 If a bed is higher than a standard, a longer dust ruffle can be added to finish the look of the ensemble. Bedspreads tend to be not quite as thick and fluffy as comforters. Coverlets are similar to comforters in that they cover the top of the bed only. Coverlets do not cover the bed pillows and do not hang to the floor, most often they are used in conjunction with a dust ruffle and shams. 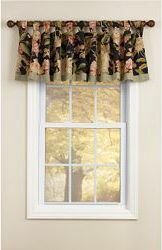 Lightweight like a quilt, coverlets are used in warm climates in the summer usually instead of a comforter or bedspread. Size Solid - 54" Print - 54"
Comforters cover the mattress, but not the box spring. Comforters are fluffier, heavier and warmer than bedspreads or coverlets because the top and bottom fabrics are quilted together with batting in the middle. 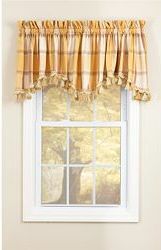 Most often, a comforter is used with a dust ruffle to decoratively cover the box spring and hang to the floor. 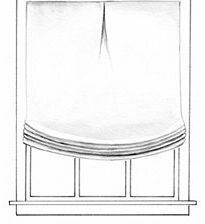 Since a comforter is not long enough to cover the bed pillows, many people use shams. Duvet covers are used to decorate and protect down filled comforters and blankets. They work like giant pillow cases and usually have a button or tie enclosure at one end. 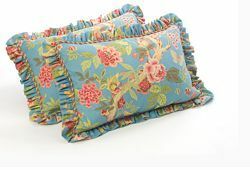 Shams are decorative pillow covers. 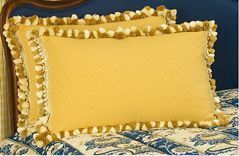 Usually ruffled or flanged, shams are used as extra pillows on beds to hide the bed pillows and coordinate with the outer bed covering such as bedspreads or comforters. 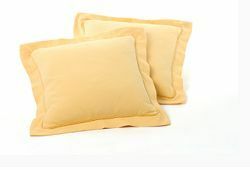 Pillows that are described as flanged include a decorative band of fabric around the pillow that is straighter, or more tailored, than a ruffled pillow. 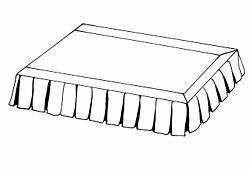 Standard 20" x 26" 27" x 72"
Queen 20" x 30" 27" x 80"
King 20" x 36" 27" x 92"
A dust ruffle, or bed skirt, is used when the box spring of the bed is visible or when the top of the bed cover, like a bedspread or comforter, does not extend all the way to the floor. 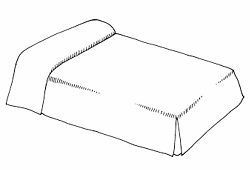 Dust ruffles fit under the mattress and on top of the box spring and reach the floor. 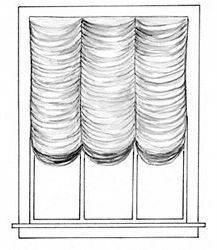 Typical beds need a 14" dust ruffle, but higher beds could require an 18" or 22" dust ruffle. 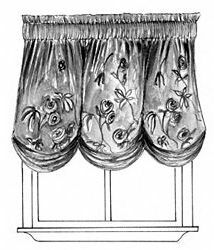 Many four-poster beds require a 22" dust ruffle. 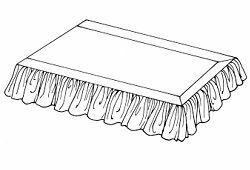 To measure for a dust ruffle, measure from the top of the box spring to the floor. 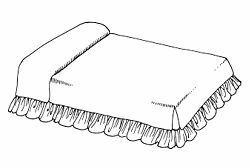 If a bed measures 17" for a dust ruffle, an 18" dust ruffle can be pinned to fit exactly. Most dust ruffles are either ruffled or tailored. 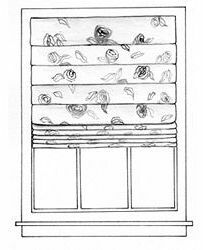 Custom Dust Ruffles - 14"-17" Drop, Solid/Print - 54"
Custom Dust Ruffles - 17"-27" Drop, Solid/Print - 54"
The term drop usually refers to the distance from the top of the bed to the floor or the distance from the top of the box spring to the floor. The drop measurement is important when considering a bedspread to ensure that it reaches the floor. Standard drop from the top of the bed to the floor is 21". 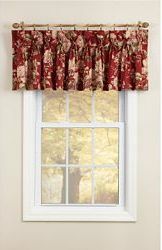 The drop measurement is also important for comforters and coverlets when choosing a dust ruffle. 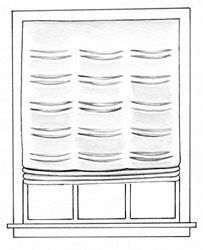 The drop on the dust ruffle is measured from the top of the box spring to the floor. 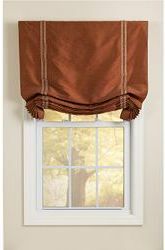 Standard drop on a dust ruffle is 14" and most comforter sets include a dust ruffle with a 14" drop. 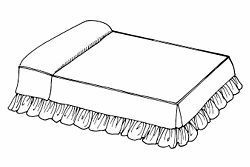 If the drop on a bed is higher than 14", then a longer dust ruffle can be layered underneath to drop all the way to the floor. 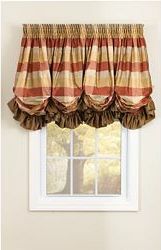 Shirred refers to fabric which is gathered to make decorative folds. 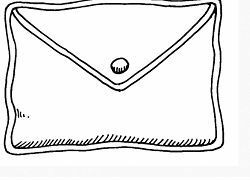 A box pleat refers to two folds of fabric brought together to form a pleat. 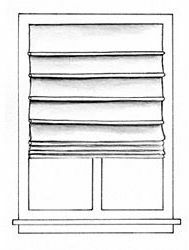 A headboard is a vertical board or panel forming the head of a bedstead. Heavier upholstery fabrics such as chenille and tweed can be used to cover headboards. 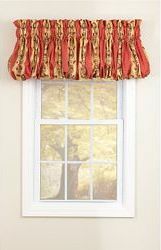 Tapestry fabric can also be used for this purpose. The amounts above are for the front side of the headboard. To upholster both side simply double the yardage. 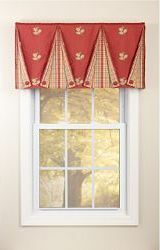 The yardage amount is based on solid, 54" wide fabric. Extra yardage may be required to match patterns. The following standard bedding sizes are intended to expedite the process of measuring by giving you the approximate dimensions of most bedding. Actual sizes may vary, so this guide does not eliminate the need to take measurements of your bedding before purchasing fabric. 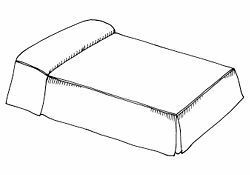 Crib 27" x 52" 36" x 60"
Day Bed 39" x 75" 69" x 90"
Twin 39" x 75" 81" x 110" 69" x 90" 57" x 89"
Full 54" x 75" 96" x 110" 84" x 90" 90" x 110"
Queen 60" x 80" 102" x 115" 90" x 95" 102" x 115"
Dual/King 76" x 80" 120" x 115" 106" x 98" 120" x 115"
California King 72" x 84" 120" x 115" 106" x 98" 100" x 98"
The bedspread sizes account for the standard drop of 21". 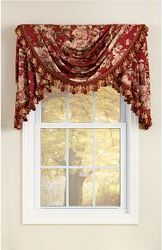 The dust ruffle sizes account for the standard drop of 14". To avoid the pitfalls of purchasing too little or too much fabric, the following guide indicates the measurements you will need to take to get your bedding project started off right. These measurements will allow you to determine more exactly how many yards of fabric are required for your bedding project.